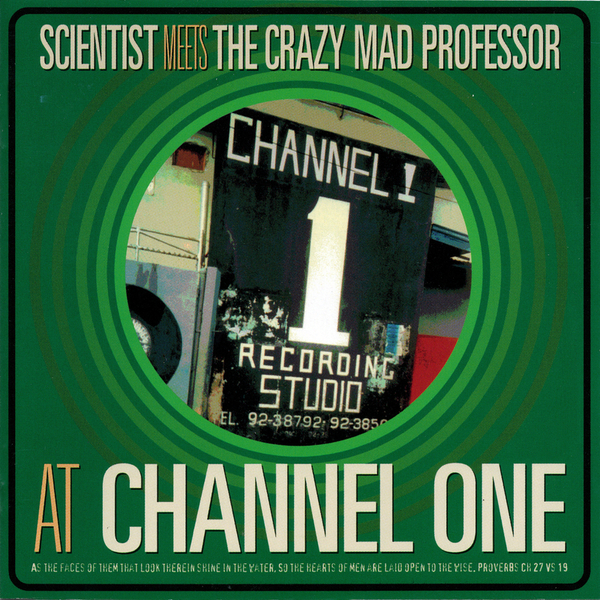 "The Mighty Scientist meets Jamaica's original Crazy Mad Professor in a dub showdown pitching their best musical shots against each other. The winner.....well only you can decide!!!. The connection between these two great Mixers/ Producers is that they both learned the trade and also cut their musical teeth working with the master himself King Tubby. Scientist (b.Overton Brownie,1960, Jamaica) and the Crazy Mad Professor (not to be confused with the London based Mad Professor, Neil Frazer) initially both helped King Tubby wind his transformers for his main business of electrical repairs. They both moved over to engineering and mixing when the need arose due to the heavy demands on Tubbys time and studio became too great. Scientist and The Crazy Mad Professor built their careers on these formative years of training, as they say if you learn from the best your knowledge can only hold you in good stead and it certainly has with both these talents. We have pitched both against each other on some great rhythms recorded at the legendary Channel 1 Studio's and then mixed by them at King Tubbys Studio. As was often the case when rhythms needed voicing / versioning for that classic dub cut. So sit back and enjoy two of Jamaica's finest having a sound off and pitched together for the first time on disc with some of their finest work. To be truthful there is no winner here as both talents have already won and proven their musical worth many times over, but do please marvel at the two great artists if not competing with each other than at least showing their best sides......"